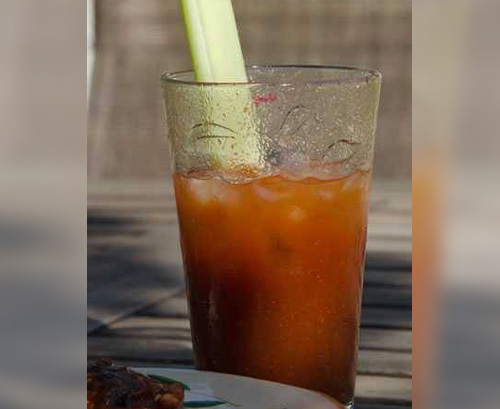 Mix or shake together the V8 juice, vodka, barbecue sauce, lime juice, Worcestershire, pickle juice, horseradish, hot sauce, salt, and pepper. Pour the Meathead's Memphis Dust into a small plate like a coffee saucer and spread it out evenly. Take the lime wedge and run it around the rim of a tall (highball) glass to moisten it. Invert the glass and place it on the spice mix and twist it until the rim is well coated. Add the bacon first, then the smoked ice, pour the drink over the rocks, and hang the lime wedge on the lip of the glass. This entry was posted in Drinks, Other's Recipes by . Bookmark the permalink.